We provide a range of disaster restoration and cleaning services that include but are not limited to water damage restoration, soot puffback cleaning, flood damage cleanup, air duct cleaning, and mold removal. Our technicians will respond promptly, within 30 minutes of your call, to prevent further damage and start the restoration process as quickly as possible. We also have professional relationships with several local insurance providers and we can help you get through the claims process. Give us a call any time, 24 hours a day at (631) 206-6808 for emergency services in Syosset, NY and the surrounding communities. 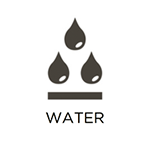 Water is among the leading causes of property damage in homes and commercial buildings. Excess water can invade your home in a number of ways, including leakage from heavy rain and flooding, leaks in pipes and plumbing fixtures, overflows, and sewage backups. You must have any excess water removed immediately from your property because it can quickly spread through absorbent building materials, leading to discoloration, warping, swelling, and structural damage. Mold growth is also a common result of water damage. RestorationMaster provides water damage restoration in Syosset, NY to remove excess water and restore damaged areas. We can remove excess water and moisture with our advanced extraction equipment and ensure that the affected areas are fully restored. Flooding within a home or building can lead to serious structural damage and mold growth if the problem is not addressed immediately. Porous building materials like wood, drywall, flooring, and carpeting will quickly absorb the flood water which will weaken the materials and make them susceptible to serious damage and uilding in Syosset, NY has been affected by flooding, make sure you contact RestorationMaster right away. We provide flood damage restoration services to help remove standing flood water and restore the affected areas. A fire can come seemingly out of nowhere and engulf a home or building, leading to very serious damage and threatening the safety of those within. The building must be evacuated as soon as a fire breaks out, and the fire department must be called quickly to put out the fire. Extinguishing the fire will not stop the damage, however, as corrosive byproducts like smoke and soot will continue to make the damage worse. 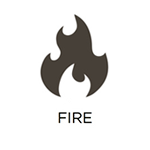 You must contact a restoration professional once the fire is out to limit the total damage. RestorationMaster can help limit the damage of a fire in Syosset, NY with our fire damage restoration services. We will rebuild structural damage from the fire as well as clean and restore objects affected by soot and smoke. Fires are known for causing a lot of damage, but the byproducts of a fire such as soot and smoke can be even more destructive. Soot and smoke do not even need a fire to cause damage in your home; it can come from candles, stoves, and furnace puffbacks. The surfaces and objects affected by smoke and soot may experience tarnishing and etching that will become permanent without quick cleaning. RestorationMaster provides smoke and soot puffback cleaning to clean and restore objects and materials damaged by smoke and soot in Syosset, NY. We use powerful cleaning products and deodorization methods to eliminate the harmful effects of smoke and soot. Mold is an unwelcome sight in any home or building that needs to be removed as quickly as possible. 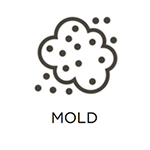 Mold growth will only form in areas that have a consistent moisture source and it feeds on household materials such as drywall and wood that contain cellulose. The damage that mold causes to the affected surfaces can be extensive, and exposure to mold increases the risk of allergic reactions and more serious symptoms. RestorationMaster can help remove the mold growth from your home or business in Syosset, NY with our mold remediation services. We will make sure that the property is tested to uncover all mold growth and we use advanced remediation methods to remove the mold. Natural disasters are never kind to your property. No matter what the disaster, a fire, flood, storm, or mold growth, your home, furnishings, and personal items are all at risk for damage. Many personal items such as clothing, jewelry, artwork, and others can sustain permanent damage if they are not quickly cleaned and restored. At RestorationMaster, we provide full content cleaning and restoration services as part of our disaster restoration efforts in Syosset, NY. If your content cannot be effectively cleaned on your property, we will provide pack-out services to take them to our facility where they can be properly cleaned and restored. It is estimated that around 40 pounds of dust circulates in a home each year and much of this dust ends up passing through the HVAC system. As it does, it can build up within the system along air duct walls, internal components, and vents and registers. The buildup of dirt and dust in the HVAC system can decrease the overall efficiency of the system and contribute to a reduction in air quality. RestorationMaster can clean out HVAC systems for homes and businesses in Syosset, NY with our air duct cleaning services. These services will help improve the efficiency of your HVAC system and create a healthier indoor environment. The carpeting has a major impact on the design of a home or office and can affect its appearance for better or worse depending on its condition. When a carpet becomes noticeably dirty, stained, or worn out, the entire room or office will start to look dirty as well. Carpeting in both residential and commercial settings experience daily foot traffic which is what causes the buildup of dirt and debris in the fibers. This buildup is often too deep to be removed by vacuuming and must be treated by professionals. RestorationMaster provides professional carpet cleaning services in Syosset, NY to clean and restore carpeting in commercial and residential settings. We use advanced equipment, cleaning products, and techniques to restore the original color and texture of your carpeting.